If you download a lot of videos from the Internet, you probably end up with them being in different video formats, unless you happen to download them all from one source. Even then, you may sometimes feel the need to change the video format, for instance to make it compatible with a smartphone or mobile device, or a standalone media player that is connected to your television. 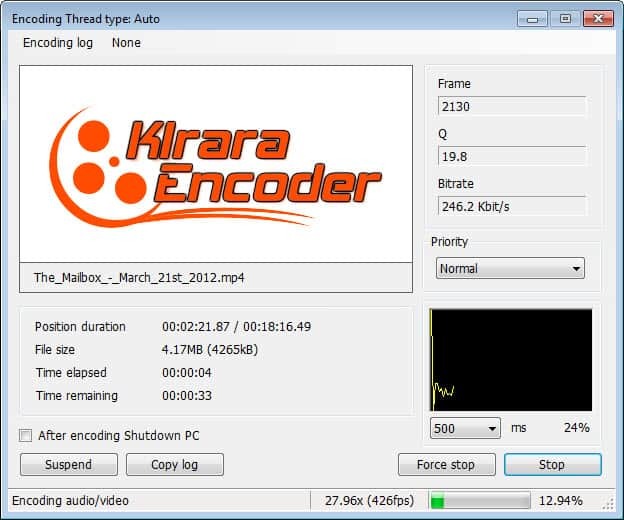 Kirara Encoder is a free portable multimedia encoder for the Windows operating system. 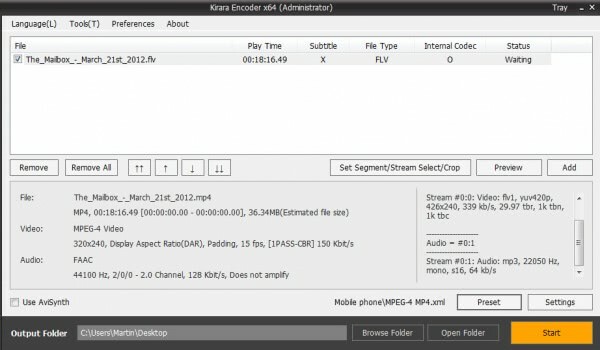 It uses the ffmpeg library for the encoding of video files which ensures compatibility with the majority of popular media formats. Compatibility includes avi, flv, mkv, mpeg, divx and xvid, as well as H.263/264 and all popular audio formats. When you start the program you are presented with a great looking interface. A click on the Add button lets you add supported videos to it right away. You can preview videos with a double-click, or right-click individual videos to select the audio and video track you want converted. 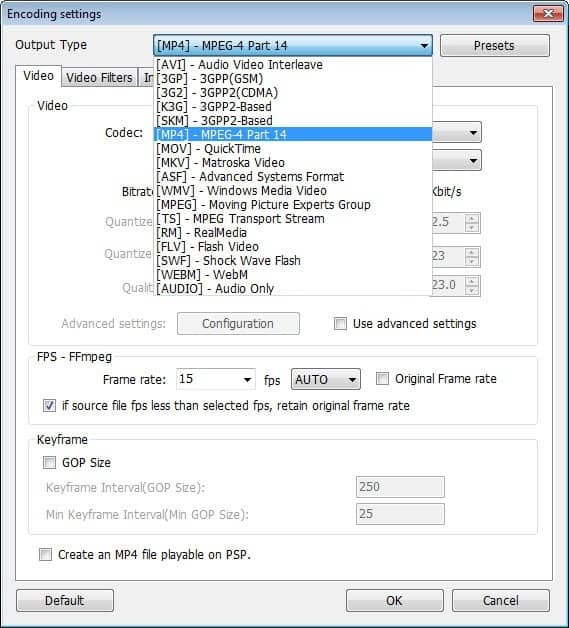 The popular MPlayer is used for the previewing, so that all supported video formats should play just fine. A click on Preset opens a selection of output formats. The majority are mobile presets, for various Android and Apple smartphones and devices, as well as other mobile phones and a handful of desktop formats. Once you have made that selection, you may first want to click on the settings button in the lower right corner of the screen to configure the output format exactly the way you want them to be. This also lets you change the output type, which is handy if the desired type was not available as a preset. You can use the menu to add your own presets to the program. Here you configure video quality settings, audio settings, subtitles and a bunch of other parameters that advanced users will like. To throw some features into the room, how do changing the bitrate, framerate and passes, video filters, custom resolutions, flipping and rotation, subtitle positioning or file size limitations sound? The program displays information about the video output in the main interface. Once you are satisfied with your selection, you can click on the start button to start the encoding process. A preview is shown during the encoding process. Many of the program’s features are hidden in the interface. You can right-click a video for instance and select Segment / Crop from the context menu to crop the video or segment it. This is done directly in Kirara Encoder. A great program for all versions of Windows from Windows XP to Windows 8, supporting both 32-bit and 64-bit versions. If you are looking for a versatile video converter that is easy to use but with advanced features for experienced users, I suggest you give it a try.